Sometimes a movie gets a bunch of Oscar buzz before fading away into obscurity before Awards season even starts. Such was the case with Kill the Messenger in 2014, a film that screamed cool exposé biography, but never really lived up to its potential. It did win a few awards, but I’m not sure the Oglethorpe Award for Excellence in Georgia Cinema or the Joe Barder Award for Best Portrayal of Washington D.C. count. And perhaps we shouldn’t be surprised by the film’s lack of accolades considering its recycled C.I.A. pointlessness and its amateur director. Cuesta has been around, but mostly in TV: Six Feet Under, Dexter, True Blood, Blue Bloods, Elementary, Homeland. I don’t know about you, but I’m not a fan of TV, really, especially not shows that are a dime-a-dozen. Mark this movie as fitting that category as well, and don’t waste your time. This is the true story of Gary Webb, the reporter who broke the story on the connection between the United States government and the funding of Central American rebel groups using drug money. Webb stumbled across a situation that grew darker the further he followed it, like a tunnel going down into hell. The U.S. government wanted a rebel group in Nicaragua to succeed there, but Congress would not fund the arming of this group. So cocaine was allowed to enter America, to be sold to the residents of L.A., specifically, and that money was then filtered back to Nicaragua to buy weapons for the rebels. Webb blew this story wide open, was named the investigative reporter of the year, and was then completely abandoned when the C.I.A. denied the charges & began a smear campaign against Webb himself. Exposing secrets is always dangerous, especially when the government is involved, and no good deed goes unpunished. The only thing this film has going for it is the fascinating true story. That this happened, that this was true, and that this man was villainized for uncovering the story is almost too insane to be real. It’s a bad look at our government, at its dark closets, and on the practices that are so often justified because of their means. But that’s where the positives end. This is a cast that was almost set up to fail. 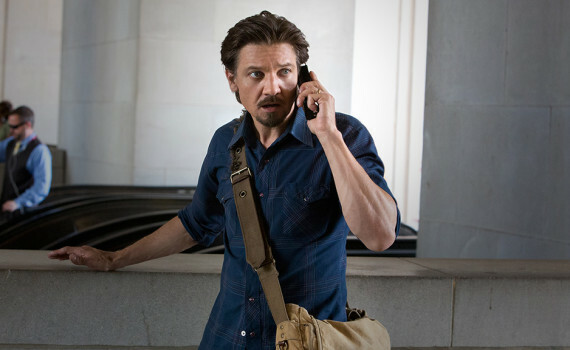 Renner, Platt, DeWitt, Barry Pepper, Tim Blake Nelson, Andy Garcia, Michael Sheen, Gil Bellows, Richard Schiff, Ray Liotta; these are actors with some talent, but miscast to the last. Every time a recognizable face popped up it seemed like it might be for comic effect. And when you realized that the filmmakers were being serious, you began to seriously doubt their judgement in all things cinematic. A bad cast, bad acting, too many spooks in suits hovering around for no reason, late night phone calls; throwaway thriller action without a purposeful point. There have been a thousand films like this made before and there will be a thousand more. Don’t bother.